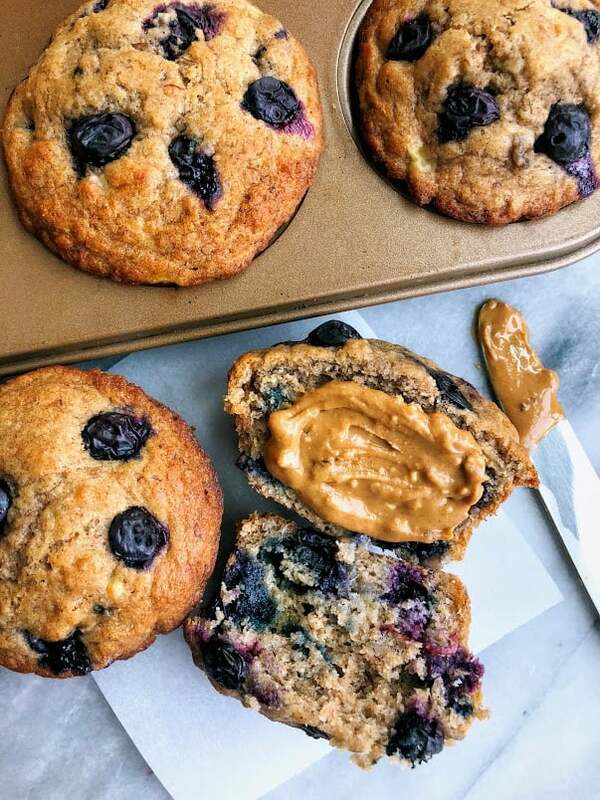 This is a simple, but delicious recipe for healthy blueberry banana muffins, made with whole wheat flour, cinnamon, and fresh blueberries. They are moist, healthy, fluffy and so easy to make! Every time I think about blueberry muffins, I think about my grandma and how she used to send my dad home from when he would go visit with these MASSIVE, homemade blueberry muffins. He would then bring them back to my mom, brother, and I and we would savor each and every single one. 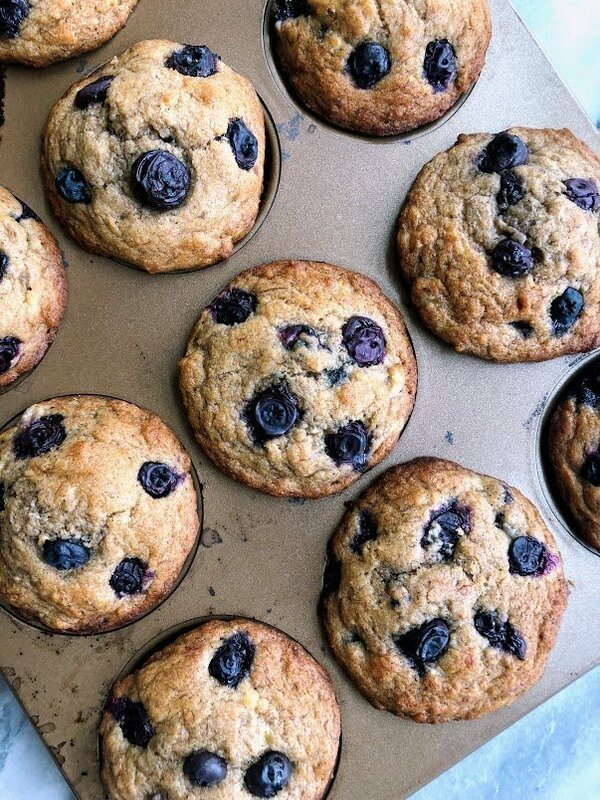 Each muffin was loaded with fresh blueberries, and they were often topped with a sugar crystal crunch, making the ‘muffin top’ the best part. 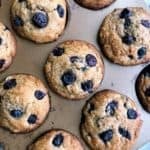 She stopped making them about ten years ago (she was baking way into her early 90s), so by the time I entered college, I was no longer getting to enjoy those muffins I had grown up with and honestly, just never found another blueberry muffin recipe that could compare to hers. So while this muffin recipe won’t ever touch my beloved grandma’s recipe, I believe it gives it a good run for its money. It’s also really hard to beat that full-stick-of-butter, old fashioned white flour, and traditional sugar recipe, but I was on a mission to create one that is a little lighter, but still gave me that same reminder of those delicious blueberry muffins. These muffins are really simple to make, too. I bet that you already have most of the ingredients in your house, because like my grandma, she kept cooking and baking simple. 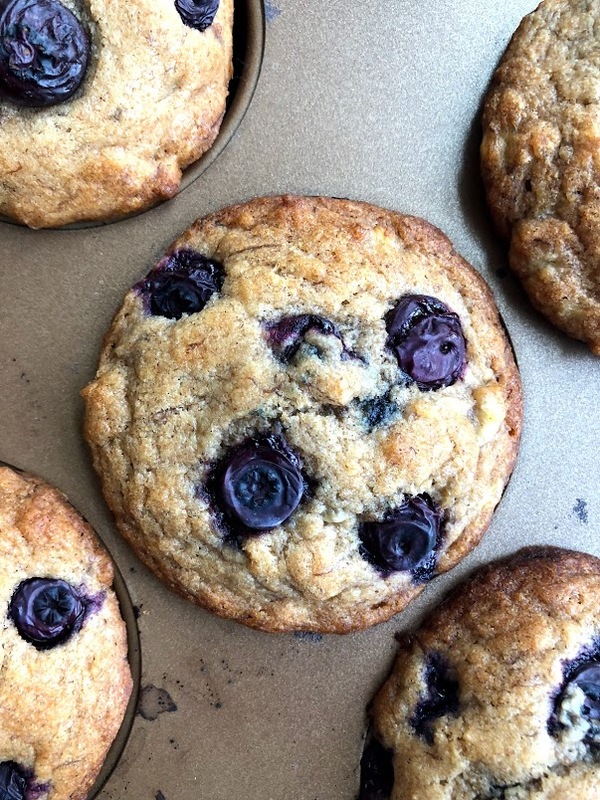 So these guys don’t call for any almond flour or coconut flour, no flax eggs, or interesting adaptogens, just real, wholesome ingredients that will make you want to bake them over and over again. Kinda like my healthy banana bread muffins that I can’t get enough of. I hope you enjoy these muffins as much as I did when I made them and shared with friends and family! Fold in blueberries and only stir a few times. are there any alternatives that can be used for the wheat flour? oat flour should work great! 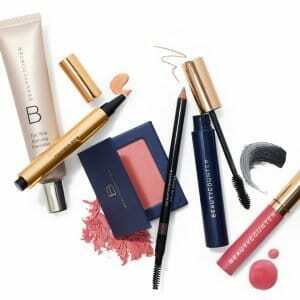 I think you should be okay with a 1:1 ratio! Start with 1 cup of flour and first and then add in slowly after if you need more. I have been making these over and over again every time I run out, so good!